Welcome to Codebook, a cybersecurity newsletter happy to be back at sea level. 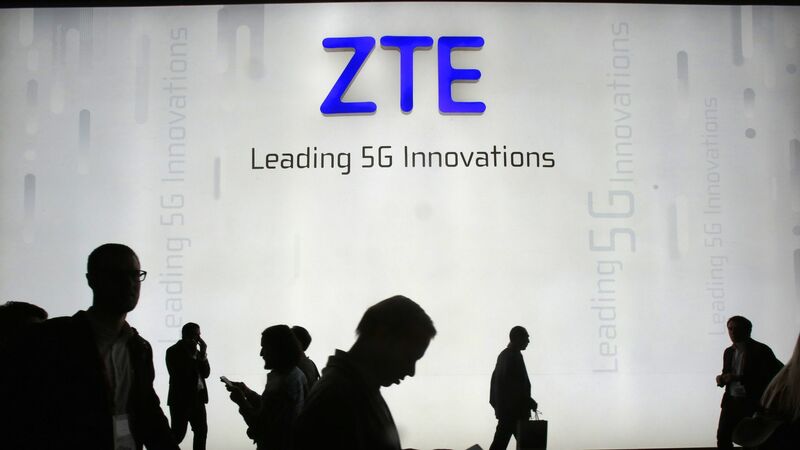 Why it matters: While the story was easily lost in a week of Russia news, the ZTE debacle will likely have effects that outlast Dan Coats' befuddled look (as he first learned President Trump has invited Vladimir Putin to the U.S.). Why it matters: Trump's deal with ZTE sets an unusual precident for the White House: a president's willingness to treat national security concerns as a bargaining chip. The Department of Homeland Security is notifying power plants that Russian government-sponsored hackers are breaching their control rooms, placing attackers in a position where they could flip off the power. The background: The Wall Street Journal reports the attacks come from a known Russian group often referred to as Energetic Bear. The Journal story overstates power plants' vulnerability, making it seem trivial to enter a computer that's "air-gapped" (not connected to the internet) and suggesting that such isolation is the only form of security plants have. Neither is true. Air-gaps are one of many layers of security at power plants. In fact, it was a private security vendor who identified the Energetic Bear attacks. The power plants' security apparatus ultimately worked. These are ongoing attacks the industry is aware of, not a new threat. Blackouts aren't imminent. Rob Lee of Dragos, a firm specializing in infrastructure security, emailed Codebook: "What was observed is incredibly concerning, but images of imminent blackouts are not representative of what happened, which was more akin to reconnaissance into sensitive networks.... "[The] messaging in the WSJ article around 'throwing switches' and causing 'blackouts' is misleading on the impact of the targeting that took place." The joke about WikiLeaks has always been that it's not a wiki. New research shows that it's also, by and large, not a leaks site — at least, not in the conventional sense of the term. Security researcher Emma Best did a statistical analysis of 15 million files released between 2007 and 2017, and found that only 9.5% of the documents came from whistleblowers — what most people think of as leakers. The remainder came from external hackers (69.5%) and public records requests. WikiLeaks violates its own policy of not republishing content that's already been published elsewhere a great deal, reports Best. A whoping 33.8% of its content has been published by other people first. Best notes that this creates at least the appearance of bias. WikiLeaks' stance has always been that it didn't publish Trump campaign documents because it didn't receive any. But WikiLeaks did receive Trump documents, which it vetted and even created a graphic for — before spiking after it found the documents published elsewhere. It had no similar qualms reprinting Clinton-related content, or indeed all sorts of other documents amounting to one-third of its site. Hackers on Planet Earth (HOPE) is a community-focused conference beloved by, well, hackers on planet earth. But a number of groups and attendees signed a "letter of no confidence" about the conference's handling of alt-right agitators who attended this weekend's event. Why it matters: According to several reports, the problem ran deeper than clashing political ideologies. The alt-right attendees appeared to be engaged in a coordinated effort to provoke a response. One alt-right attendee questioned researcher Matt Blaze about whether Blaze had been honest in his allegations of "stalker" behavior and inappropriate touching against John Draper. Blaze is not the only researcher to make such accusations, and the issue wasn't relevant to his talk. Another group of attendees followed Chelsea Manning around in an apparent attempt to menace her, letter organizers told Motherboard. Manning cosigned the letter. The attendee who questioned Blaze later announced he was a "nationalist" during one question and answer session, after which another attendee stole his MAGA hat. Security retrieved the hat. The man (and his hat) were later kicked out of the conference for being physically threatening toward another attendee. HOPE organizers told Motherboard that the problems stemmed from conference-goers' complaints about perceived safety threats not getting through to the right people. Worth noting: One of this year's talks directly related to research in alt-right communities on the internet. Photo: Bill Clark / CQ Roll Call via Getty Images. The IRS is making progress in authenticating users to keep them safe from fraud, but is disorganized in its efforts, according to a new Government Accountability Office report. Why it matters: Authenticating users prevents thieves from stealing tax refunds or making other fraudulent moves. The IRS views W-2 scams as a perennial threat, and has faced persistent problems with identity theft. The details: The report notes that IRS has done a good job identifying long term projects tht would aid the authentication process, but has not identified the funding requirements to make sure those projects stay afloat or prioritized which projects need to be completed first. Rob Joyce, who left his role as cybersecurity coordinator for President Trump to rejoin the NSA, will be the U.S. liaison officer in London. The U.K. is a major cybersecurity ally and the role is a top overseas post in the agency. Joyce was one of several White House security figures who left after the appointment of John Bolton as national security adviser. Bolton eliminated the cybersecurity coordinator position after Joyce stepped down. Howard Marshall, former FBI deputy assistant director for cyber, is joining Accenture's threat intelligence consultancy. Marshall was one of three top FBI cybersecurity officials who announced retirement last week.